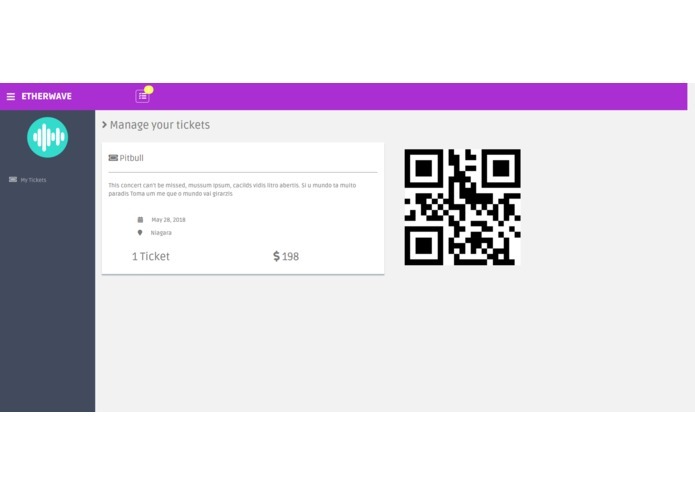 An app to book concert tickets via ethereum and also allow users to trade their tickets among themselves. 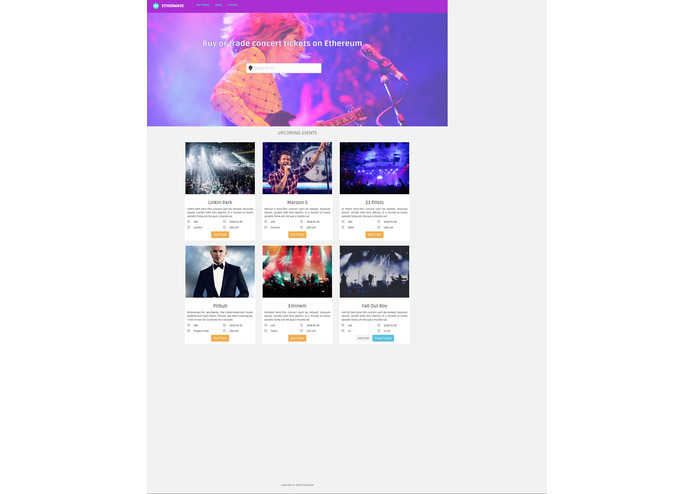 Etherwave is an authentic adaptation of Lev Termen's original design for the Theremin and also a cool project name for a hackathon adding music on ethereum blockchain. ERC721, also known as NFTs (Non-fungible token) are tokens where each one is unique. These individual tokens can come with metadata, which would be a link for their IPFS json file. 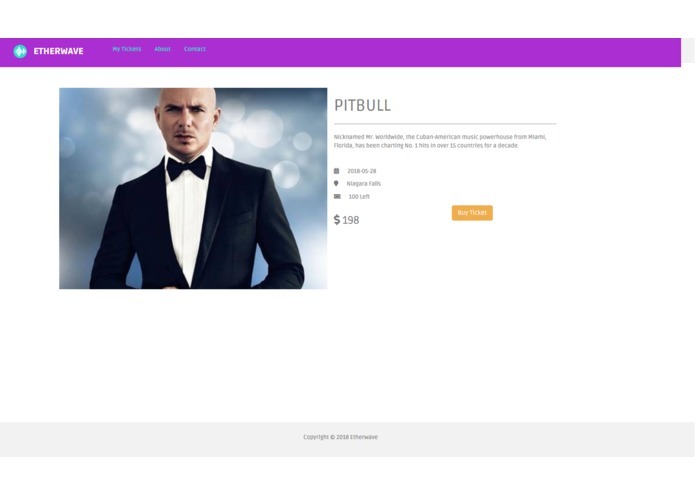 In this project we have added events' info to the blockchain such as location, date and price of event. They're indivisible unlike fungible tokens. 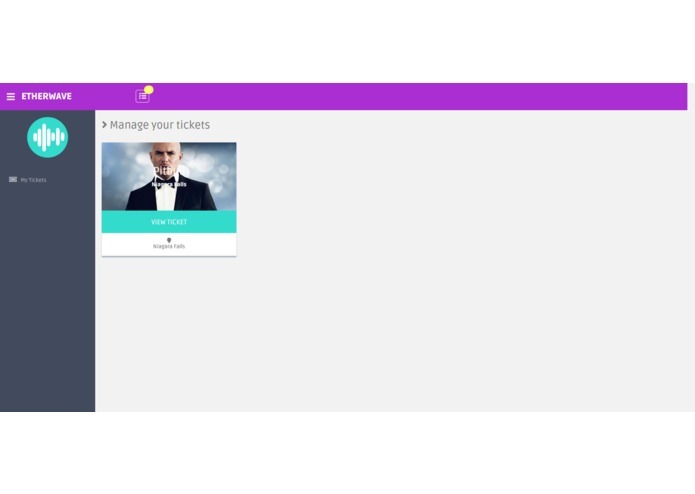 The Tickets for every event stored in a blockchain are all ERC721(Non-Fungible) tokens The user can buy them for an event and in case the user is not able to attend the event, he/she can sell it to other users for price equal or more than original. Reach us out if you liked it!